Athletic trainers guide athletes through their training programs and help them recover from injury. Becoming an athletic trainer requires more than just experience with training and exercise. Maryville University can prepare you for graduate studies in post-graduate healthcare programs, including athletic training programs. If you’re considering athletic training jobs, you will be interested in Maryville’s undergraduate program in exercise science and its pre-graduate track. 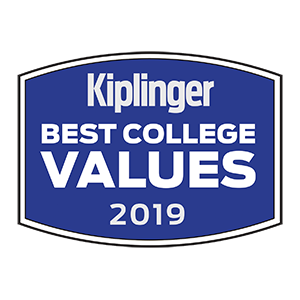 Biology, education and sport business management are also popular majors to consider. 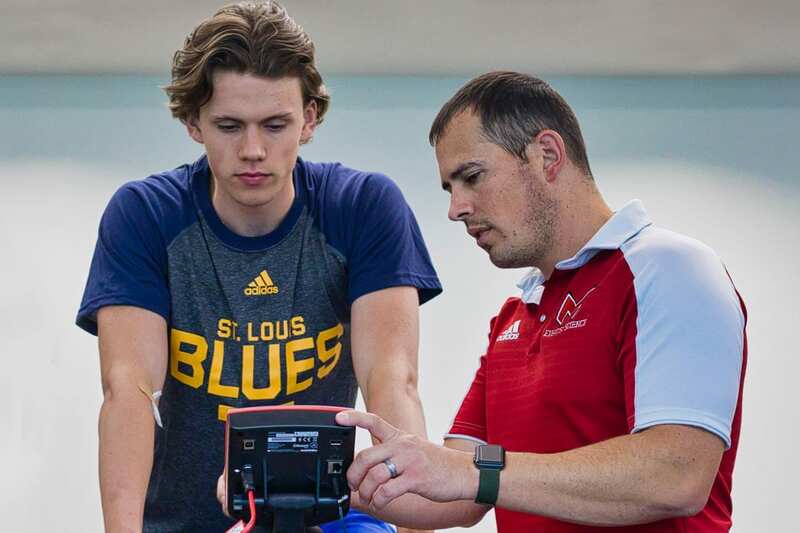 In Maryville’s specialized Human Performance Lab, the St. Louis Blues NHL hockey team assesses the fitness of draftees. Victor Kizer, director of Maryville’s exercise science program, is an expert in the field of athletic training and a faculty mentor focused on helping students reach their goals. 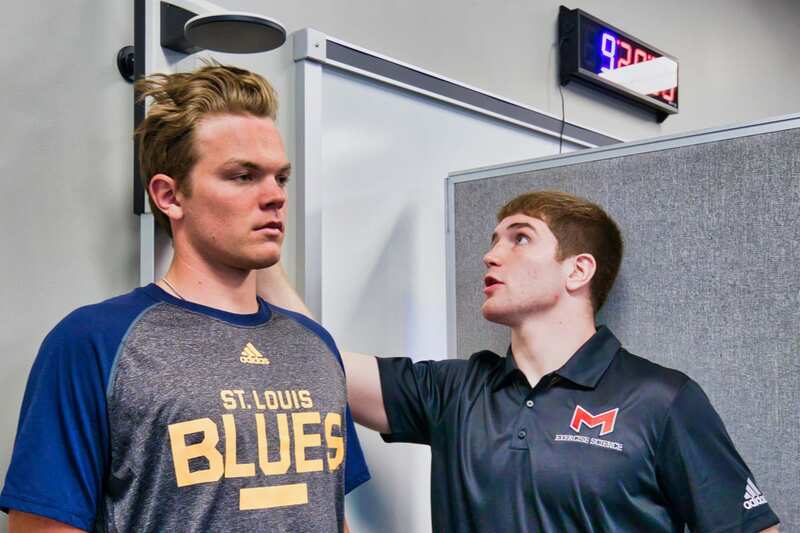 Kizer develops Maryville partnerships with organizations such as St. Louis Blues to provide experiential learning opportunities for students in athletic training. Demand for athletic trainers is expected to increase as more people become active—and more become aware of the effects of sports- and exercise-related injuries. The U.S. Bureau of Labor Statistics predicts that the need for athletic trainers at all levels will grow 21% on average through the year 2024. Most of these jobs will require professional certification and some amount of post-graduate education. Athletic training is a small but growing field. 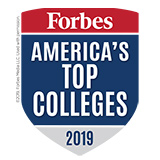 If you have a passion for helping athletes perform their best and recover from injury, request more information to explore Maryville University’s pre-athletic training program.